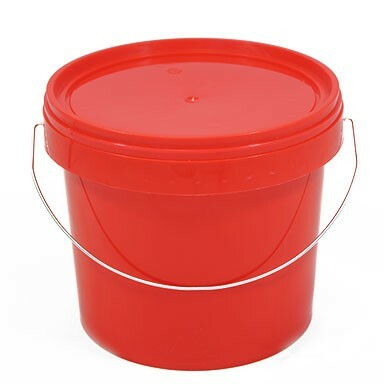 Bright red 5 litre plastic bucket, manufactured from food-grade polypropylene. 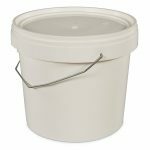 The tamper evident lid makes it suitable storing messy foodstuffs, fine powders, liquids and much more. 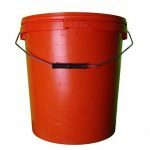 These buckets are made to be re-used. 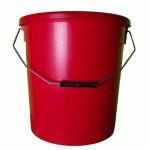 We use more raw material in the plastic injection moulding process so these products can be filled up and emptied out again and again without cracking. 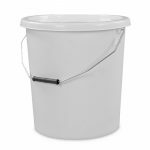 Small red polypropylene buckets with metal handle and plastic tamper evident lid.